What did the Lubavitcher Rebbe really think of the Rav? 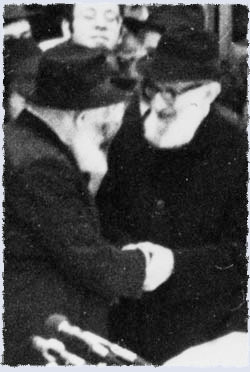 The Rebbe felt that the Rav was wishy-washy because he was susceptible to changing his mind on issues based on political or societal pressure. As such, he felt the Rav could not be relied upon. This is not the type of statement one makes without some type of evidence. Suffice it to say, that I wouldn’t simply write something like this unless I had seen evidence supporting it. In truth, I had the evidence for over a year. However, the person who gave it to me did so on the condition that I not disclose the evidence. Recently, I obtained the snippet from a new source. This source didn’t restrict distribution in any way. 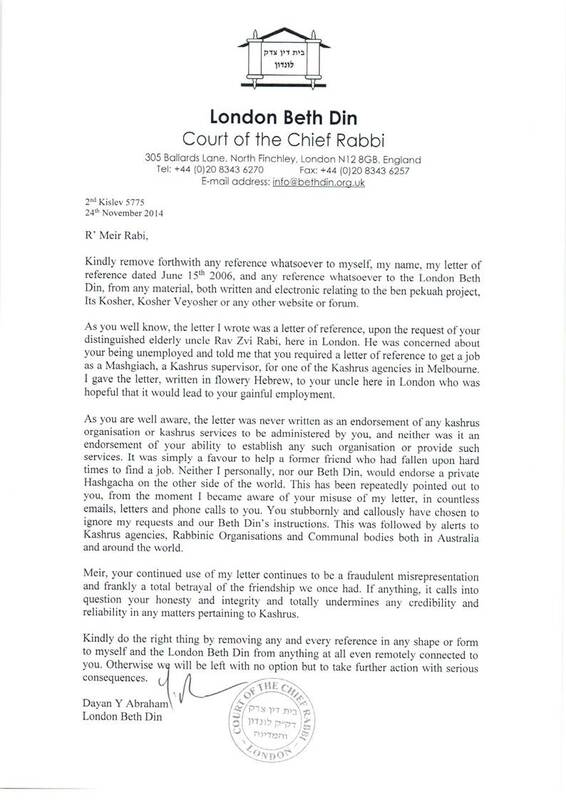 In important matters of halacha/politics, if “they” warn the Rav that his opinion will not be appreciated, then the Rav will refrain from making his opinion publically known. The Rav will also find ways to interpret the halacha leniently in such cases. For example, there were a few years when the Rav allowed microphones to be used on Shabbos and Yom Tov and then the Rav changed his mind. The Rav is a person who changes his mind by nature. There are those who would argue that the Lubavitcher Rebbe has at best oversimplified his understanding of the Rav’s personality as the iconic Ish HaHalacha and at worst ignored the complexity therein. Clearly, what the Lubavitcher Rebbe attributed to weakness under pressure or an inability to decide was more complex. The Rav navigated through a gordian path of conservative temples many of which were run or being taken over by ostensibly modern orthodox Rabbis. The Rav’s aim was, and he largely succeeded, to move those temples to the halachic right (sic). There were some innovations, despite the so called societal pressures, that did not affect the Rav’s public and unwavering Halachic opinion (e.g. Mechitzos). The Rav submitted himself to the altar of Halacha at all times. On matters about which there was some interpetation, the Rav encouraged his Talmidim to get to a stage where they could decide what should be done. He was never shy to give his opinion when asked but would rarely force his own opinion on his Talmidim. The Rav gave his Talmidim some freedom and encouraged them to think and decide, whilst bound by the limits of Mesorah. In my opinion, it is a simplification to assume that this was some character flaw. On the contrary, this was the Rav’s pedagogy through active learning. A s usual I keep enjoying your blog. I wonder sometime how it would look if your were living here in NYC. The response to the talmidim from RAS was intriguing. Please send me further background, the when and where etc. Allow me to wish you a Kosher un Freilichen Pesach.